We offer high quality Crystal Ball Shape Jar with Lid to our valuable customers. These products are widely used for storage as they are suitable for maintaining freshness of products for long time. - consumer's favorite sugar brand. - hygienically processed and packed. 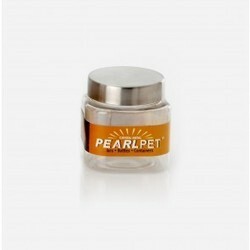 - mawana launched sugar for the first time in a convenient pearl pet jar that keeps the sugar fresh. - the jar is specially designed for modern store customers to provide convenience in carrying and storage. Our company is one of the exclusive companies that manufacture a huge range of Crystal Jars all around the country. All these jars are made up of high grade raw material sourced from a trustable vendor in the market. These jars are uniquely fabricated by the expert team and skilled workers. The look of the jars is very appealing and is appreciated as well.